Me, My Suit and Tie is the brainchild of three friends and colleagues; Sebastian, Paul and Ben, who wanted to create a solution to help their fellow menfolk dress well with minimum effort and low cost. The result was an accessories box, each with its own theme, containing a sartorial selection of ties,cufflinks, socks, pocket squares and more. 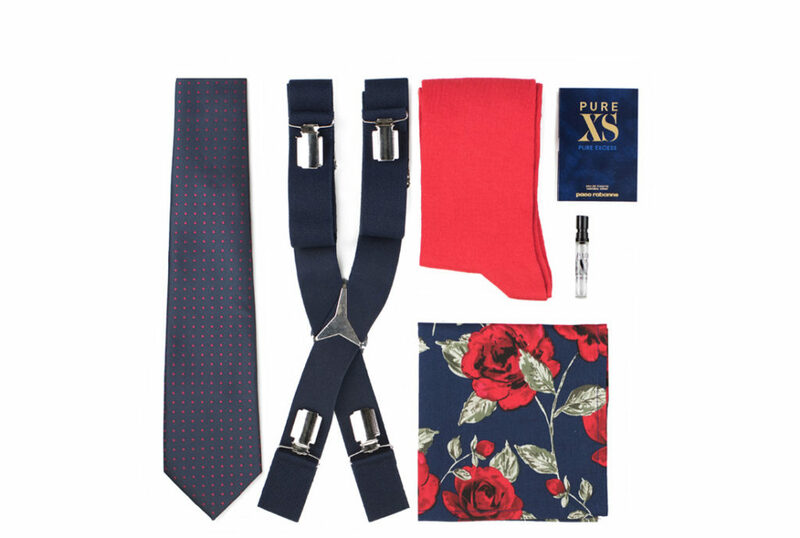 We love the Casino Style Box, with a navy and wine theme running through a silk tie and floralpocket square – plus statement red socks. Or, for a fresher look – liven up a linen suit with the Turtle Box, which includes pastel green and white tie, socks and pocket square, plus mother of pearl tie pin. Check out their blog too for practical style tips such as how to clean a tie in an emergency or how to wear a tie bar. Let’s face it, at the moment the thing most likely to get you a raised eyebrow in polite society (or a thumbs-down on social media) is drinking from a single use plastic cup or bottle. We’re pro-universe, but if you are planning to invest in a reusable drinks container, it should be a superior and sustainable one. Red Original is the accessories range launched by Red Paddle Co (the world’s leading inflatable stand-up-paddleboarding brand), but rather than aim their wares exclusively at watersports enthusiasts, they decided instead to create a sleek, well designed collection of lifestyle accessories –basically, for anyone who wants to win at outdoorsing it. promises not to corrode with use or leak in one’s bag. It will keep liquids hot for 12 hours and cold for 24. And better still, it holds 750ml – yes, that’s right, you could transport a bottle of wine in there, and keep it chilled. Or mix up a batch of cocktails, pour and serve to friends whilst out and about. Brilliant for festivals, picnics – anywhere you can’t take glass bottles. Another tip; if you want to take more than 100ml of water with you to hydrate on a flight, you cantake an empty bottle through security and fill it up airside. Of course, if you actually wanted to take this drinks bottle paddleboarding (hey, Kim Kardashian does it, right?) then you can easily clip it to your board with a carabiner.